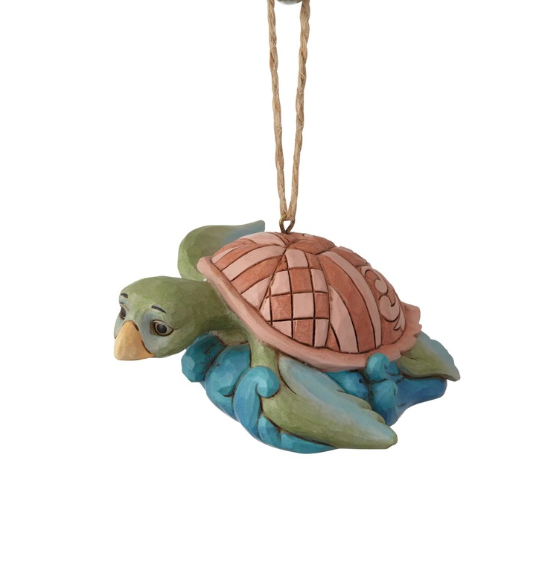 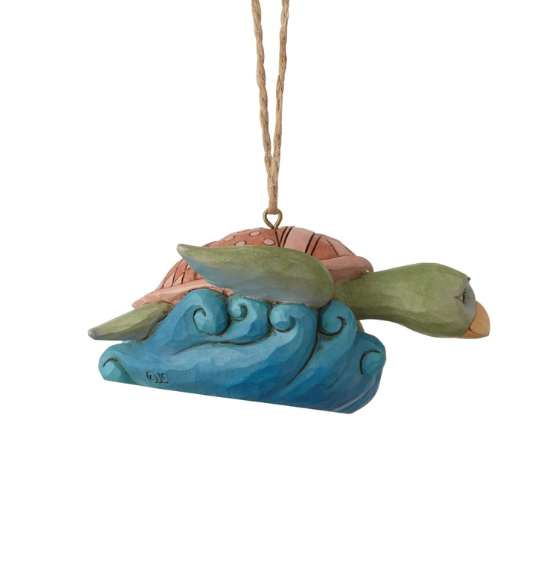 Evoke the carefree feel of the coast with this delightful sea turtle ornament. 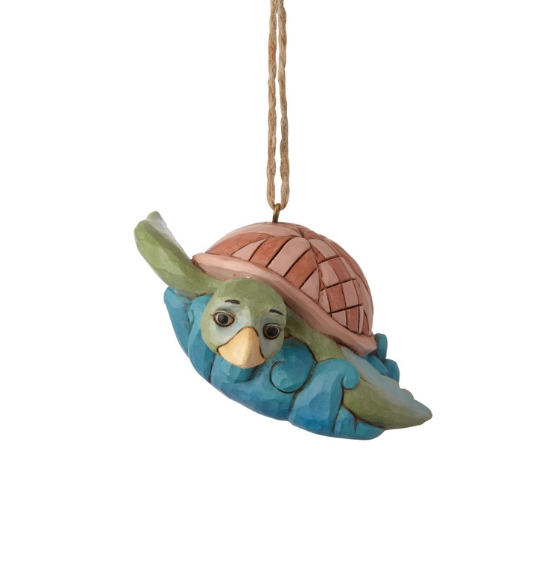 Handcrafted in Jim Shore’s unique folk art style, the 4” stone resin design features whimsical motifs and quilt patterns, hand-painted in vibrant color and beautiful detail. 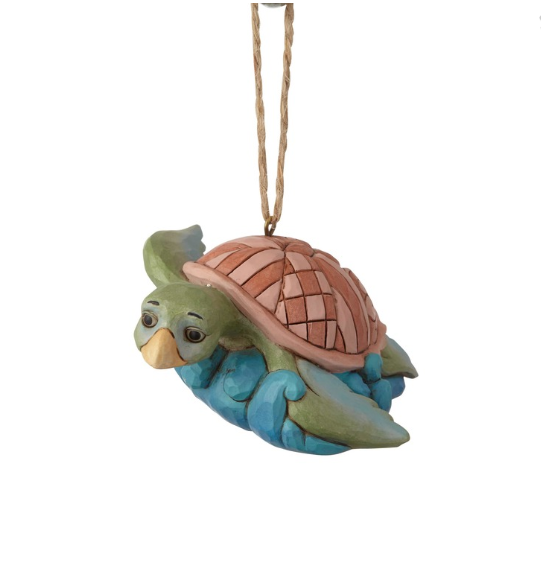 2017 Honu - Early Sell Out !